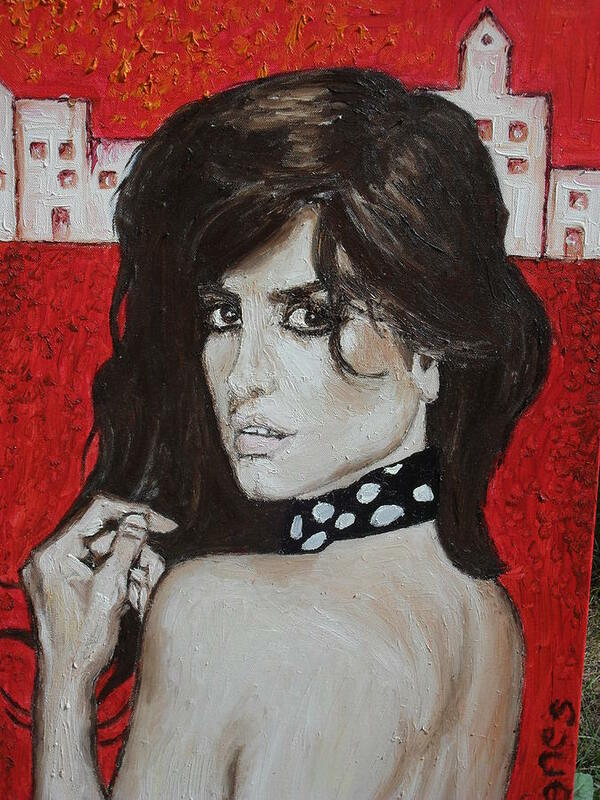 Penelope Cruz is a painting by Agnes V which was uploaded on July 16th, 2010. This is my first portrait. I wanted show on this painting her passion like as for the spanish womens have. I made an powerfull eyes with what she can stare at us. The red background give the same feeling. Truly, you are a good painter, Agnes.....v.